When the phone call arrived from Aston Martin asking me to join them on their launch of the Rapide S and Vanquish in Scotland I didn’t hesitate in saying ‘yes’. 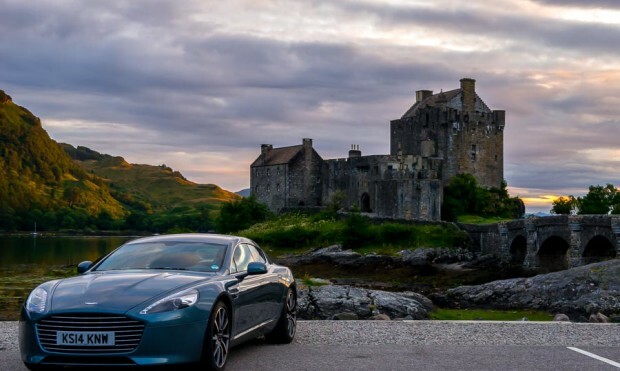 My brief was to photograph the lifestyle of an Aston Martin owner, staying in Aldourie Castle and driving the glorious coastal route and then heading over to the stunning Isle of Skye, capturing the landscapes and dramatic beauty of what I was seeing . I imagined it would be a wet couple of weeks but to my joy we were blessed with incredible weather. What a bonus! The days were long as the sun was up at 3am and the light didn’t fade until 11pm but the chance to explore this corner of Scotland in such a powerful, graceful car wasn’t too much effort!